The town of Gateway, CO is unique because it’s nestled less than 10 miles from the Colorado-Utah border. It is the location of the eastern termini of two backcountry 4×4 routes to Moab, UT. It is about 50 miles southwest of Grand Junction. 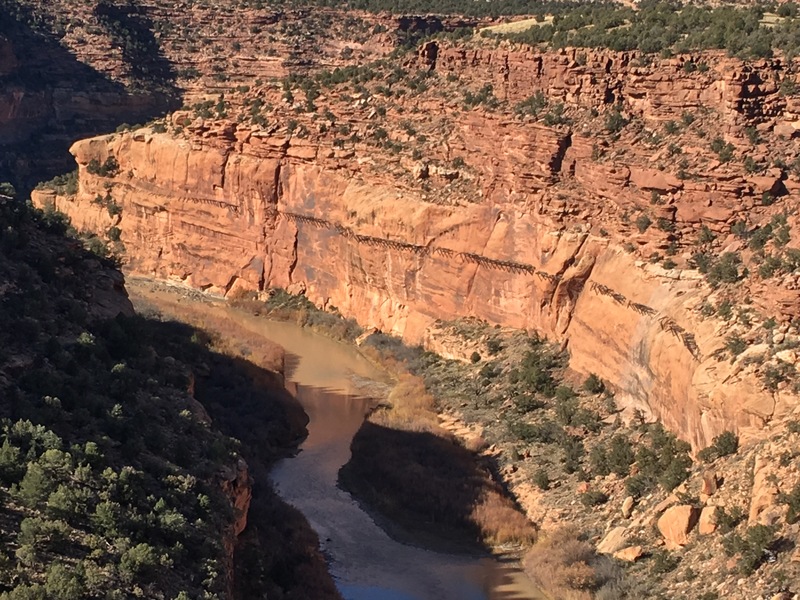 Gateway is on Colorado State Highway 141 (SH-141), roughly where it meets the Dolores River, on the northwest side of the Uncompaghre Plateau. Gateway is a classic small town, with small town vibes. Although the town contains a couple tourist attractions, it hardly feels like a tourist trap. In fact, you’ll be hard-pressed to encounter a lot of traffic at all along SH-141. There is a general store (pictured above), with gas pumps, restrooms, drinks and snacks. During the summer time, there is also a food truck that operates in the parking lot of the general store. Most will make a pit-stop at the general store before continuing their journey. This area is rich with history. The U.S. Government conducted uranium mining activities during the Cold War and prior mineral exploration was conducted by early prospectors. The Hanging Flume is a relic from this rich past that is still visible to this day. Uravan was a uranium mining town, and is now deserted. Its history is still evident. 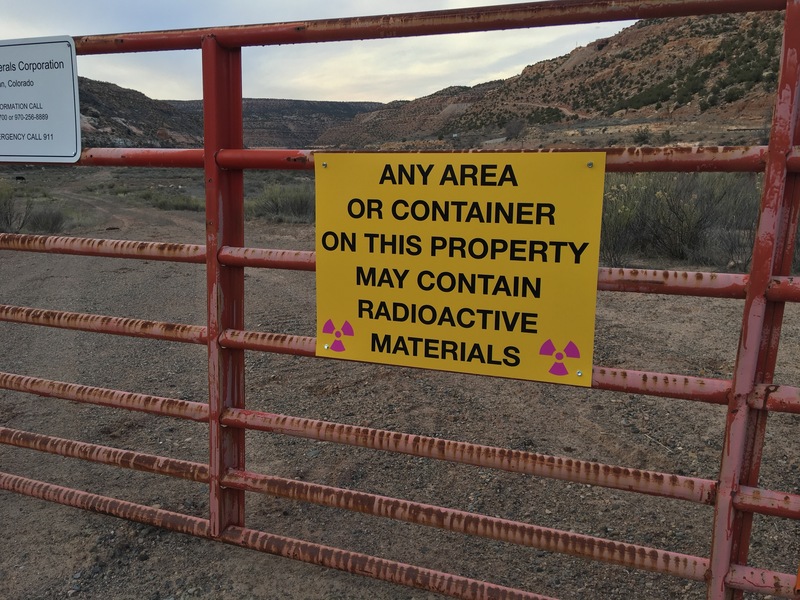 While the area no longer has high radiation levels, there are areas which are riskier than others and that still may have radioactive waste present. The site of Uravan is not far from the currently inhabited Naturita. Naturita is the closest major settlement from the junction of SH-141 and SH-90 (to Bedrock and the Utah border). Addtionally it is possible to shortcut from SH-141 to SH-90 through the Dolores Canyon, via Y11 road. You can also detour through some old mining sites via road EE22, a bumpy, windy dirt road.